The University of Chicago College is one of the most influential undergraduate institutions of liberal learning in the world. Devoted to advancing knowledge and to encouraging the habits of critical reflection, rigorous discussion, and uninhibited debate about ideas as a way of life, UChicago affirms the power of imaginative educational practices to advance creative learning and to enrich civic life. 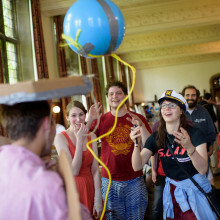 Customs that honor and celebrate UChicago’s distinct style of learning and culture. Our inclusive community stems from our long-standing belief that it is from the widest possible range of perspectives and viewpoints that the most innovative ideas can be proposed, tested, and debated. 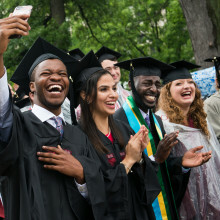 From providing scholarships and paid internships to being the first elite college to expand access and financial support to first-generation, rural students, and those who serve our country and communities, UChicago is a community of talented individuals of numerous backgrounds, geographic locations, and financial circumstances. Chicago: our home, classroom, laboratory, and inspiration. One of the defining aspects of study at UChicago is its setting in the city of Chicago and the Hyde Park neighborhood. Here, opportunities to interact with the city’s cultural institutions, neighborhoods, and more are woven into student life. Chicago offers countless experiences—in every field imaginable—that connect learning on campus to the world outside the classroom.